Instructional video demonstrating techniques for repairing damage to paper pages and documents. Instructional video about care and handling of books, paper, documents, maps, photographs and modern media. 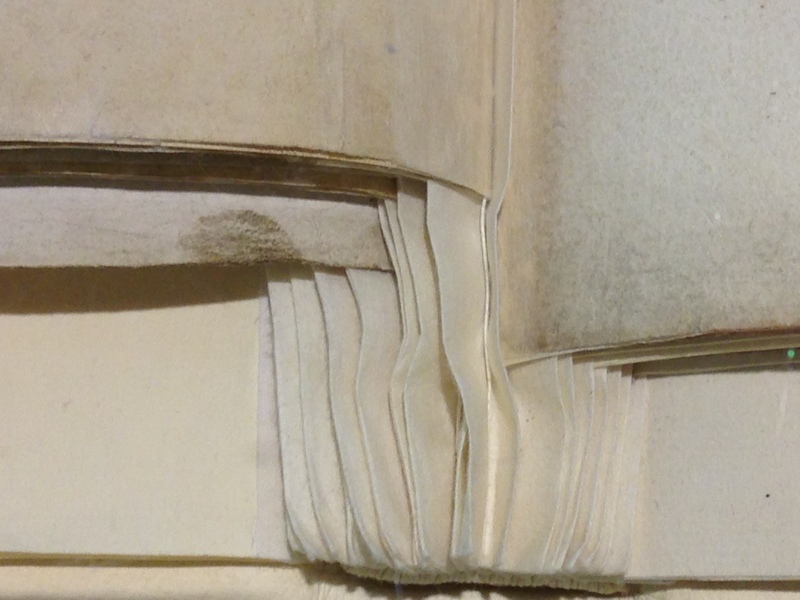 It includes information about the causes of damage to books and archives and shows some simple techniques to help slow down the rate of deterioration. There are demonstrations for removing books from shelves, turning pages and opening books on book supports. Also included is advice about shelving, environment, protective enclosures, boxes, repair and disaster preparedness. This is an Auckland Libraries staff training video presented by David Ashman, Preservation Manager and Book Conservator. Advice on preserving paper documents and artworks from the National Archives of Australia. It is interesting to view the above in conjunction with Jan Paris‘ essay, ‘Conservation and the Politics of Use and Value in Research Libraries‘ from The Book and Paper Group Annual (The American Institute for Conservation), Vol. 19 (2000). Paris discusses the gender politics of what gets prioritised in conservation. Also relevant is Hans Ulrich Gumbrecht‘s discussion of how the tearing or ‘scarring’ of documents returns us to an understanding of their material presence in ‘Eat Your Fragment! About Imagination and the Restitution of Texts’. In Glenn W. Most, ed. Collecting Fragments/Fragmente sammeln. Göttingen: Vandenhoeck und Ruprecht, 1997, pp. 315-27. Card Catalogue (Click to watch) A nice film tribute to the old materialities of catalogue searching from the University Library of Toruń, Poland.